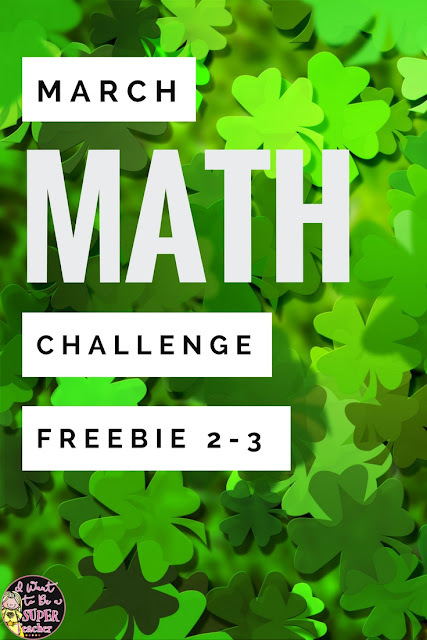 If you are a 2nd or 3rd grade teacher looking for a FREE St. Patrick’s Day or March Madness math activity, then try this March math challenge & brainteaser freebie. The download includes a March Madness arithmetic brainteaser, and a Clover Count St. Patrick’s Day math challenge with a lined page for students to write about how they solved the problem + answer keys, so you can just print and go! Need more March math activities? There are now monthly math challenge sets for every month of the school year! The March Math Challenges & Brainteasers Pack includes 26 math problems with spring and March holiday themes like: Pi Day, St. Patrick’s Day, rainbows, March Madness basketball, leprechauns, clovers, and March is Reading Month. Want to save these challenges for later? Pin them HERE.